Things are very exciting these days at Sgt. Windflower Mysteries. There are newspaper articles and radio shows and even a TV appearance coming up. Plus, a Book Launch in Ottawa on October 13 and another event in Kingston on October 22. First up is a radio interview on The Carol Anne Meehan show on 1310 NEWS in Ottawa on Wednesday September 28. I should be on live around 2:30 pm EST. I will try and post an audio clip later once it becomes available. There has been a short delay in getting books into Chapters and Indigo stores but they be there soon. Below are the retail and online locations where you can buy A Long Ways from Home. The media response to A Long Ways from Home has been terrific. There was a great article in the Southern Gazette (Link below) and follow up requests from several other outlets. There will be more newspaper and radio events coming up, so stay tuned. On October 12 I will be on Rogers TV Daytime Ottawa show. Here is their Facebook page so that you can find out where and when to tune in and watch the show. I will be at one of my favourite bookstores Novel Idea in Kingston from 1-4 on Saturday October 22. Come by and say hi and get a signed copy of any of the 5 Sgt. 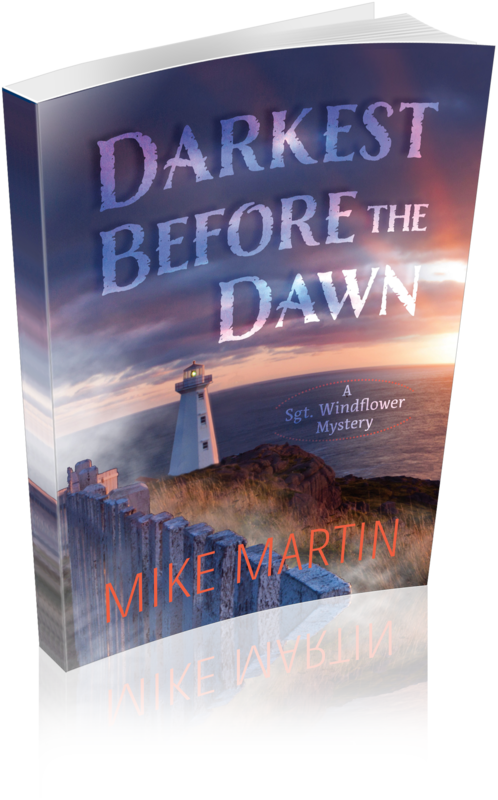 Windflower Mysteries including A Long Ways from Home. Books are being shipped to retailers right now, but we’re happy to announce that 3 of my favourite Canadian independent bookstore already have copies in stock. I have been following the Sgt. Windflower mystery series and now look forward to obtaining a signed copy of the fourth book. You can too.